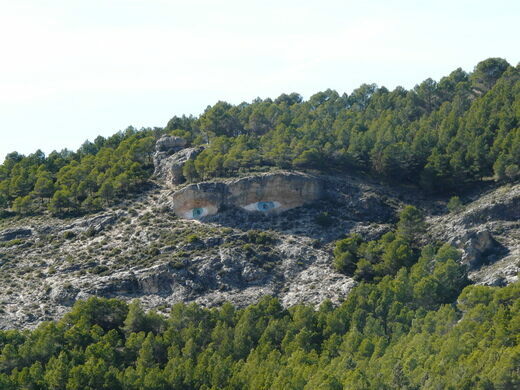 Painted onto a crevice of one of the mountains looming over the medieval city of Cuenca are two large blue eyes overlooking the city’s small, winding streets. Originally painted by an anonymous artist, the eyes pay homage to a legend of forbidden love that is almost 1,000 years old. 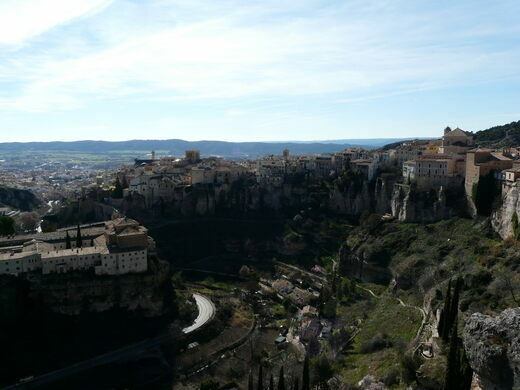 The city of Cuenca, located an hour east of Madrid, traces its origins back to the Muslim conquest of the Iberian Peninsula in 714. Sitting atop a hill of limestone, the city was built by the Moors to be an impenetrable fortress and its near perfect state of preservation has made it a World Heritage Site. 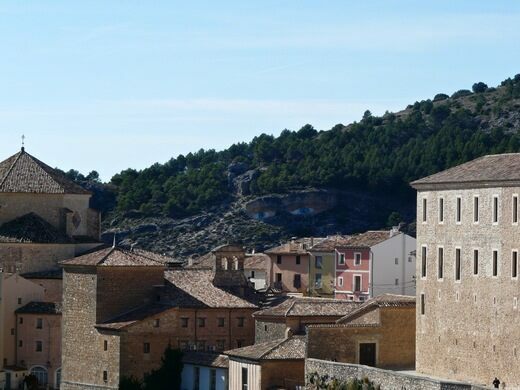 The legend behind Los Ojos de la Mora (roughly translating to “The Eyes of the Moor”), is set in the aftermath of the Christian conquest of the city in the 12th century. In one of the neighborhoods inhabited by the Moors, a beautiful mora (Spanish for a Moorish woman) and a Christian soldier fell in love. Their love was kept secret because contact between the two religions was strictly prohibited. The young woman’s father intended to have her marry a young Moorish man who had asked for her hand in marriage. When she rejected the proposal, the young man began following her movements at night. In order to be together, the soldier and the woman intended to run away and find a priest to convert her to Christianity so that they could be married. On the night that they were set to realize their plans, the Christian soldier was attacked by a group of Moors organized by the rejected suitor and was killed. Desperate, the woman attempted to commit suicide so that she could be reunited with her lover in Heaven, but was reminded by the priest that suicide was prohibited for Christians. It is said that the woman died of a broken heart, and that to this day her eyes overlook the old part of the town where she was meant to meet her lover. The eyes can be seen from various places around the city; the closest view is from the Ojos de la Mora observation deck on Plaza la Merced.